Out now: the new 2nd edition Paperback!
" If you enjoy tales of the struggles between good and evil, I highly recommend this book to you! It's a fun, quick paced read that you won't be able to put down! It made for an excellent summer read!" "an awesome array of characters which definitely included the good, the bad and the ugly, and an amazing plot!" " This young adult historical fantasy had me totally engrossed and I would recommend it to anyway who loves historical fantasy/fiction (especially British) whether you’re a teen or an adult. " "Denning has a real thirst for historical knowledge and this certainly shines through in his books, with his descriptions of London in 1666 making you feel as if you were in the middle of the raging fire." "Set amidst a time of terrible tragedy for London, it is also a historical treat for those of us who really enjoy learning about the past. Written in an easy style, it is highly recommended for readers of any age who enjoy historical fiction with a twist of paranormal. I am definitely looking forward to the next book in this series when it is released." This is such an exciting read, with lots of suspense and believable characters which I thoroughly enjoyed. I loved the way the author weaved elements of fantasy around the historical facts of the Great Fire, all obviously meticulously researched. 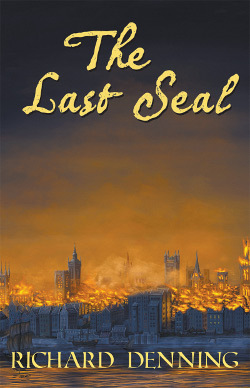 "If you like historical fantasy, don’t miss it! You’re gonna be dragged to this history and won’t be able to put it down until you’re done reading it." "I was immediately drawn into this fascinating world where a truant and thief end up embroiled in an adventure to save the city." 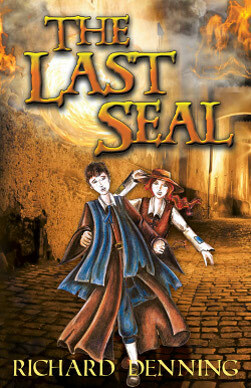 "a fast-paced and compelling historical fantasy adventure for young adults" "entertaining and enjoyable escapism "
"fun to read good and historically accurate fantasy"
"Denning wrote fluently about several different themes: friendship, temptation, sacrifice and duty"
"I rarely read tween action books and was surprised by how much I enjoyed this book."